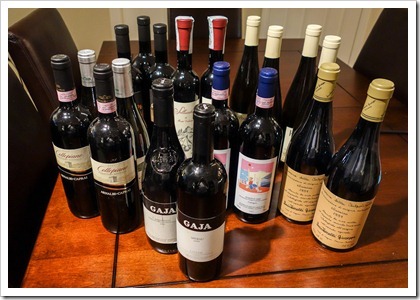 Ever wonder how to safely and legally bring home prized wines from your trip to Italy? It’s easy – if you know a few helpful tricks. Our vino road warrior and Sommelier Michael Horne shares his secrets. I look at the 2 cases of wine she’s pointing to, stacked in lovely wine boxes in the corner of the room. 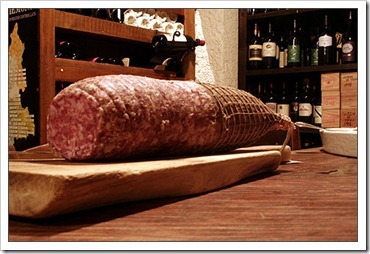 Brunello, Chianti, Super Tuscan – nice wines that cost her a pretty penny. “Well, you could drink it all here, but you’d spend most of your vacation pretty sauced up,” I say. She’s not amused. I’m at my favorite B&B in Siena, sitting at the family table sharing a modest Italian breakfast with first-time travelers. Barbara and husband Jim just spent their week exploring and tasting their way through Chianti and Montalcino. They couldn’t resist picking up bottles along the way, and now they have 24 little problems to deal with. 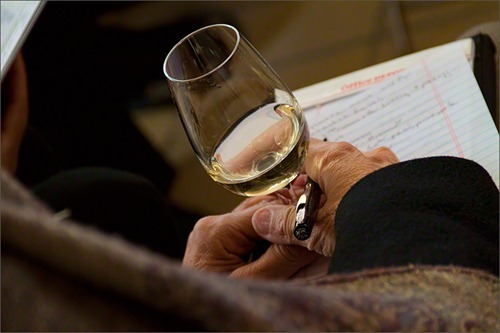 One of the great Italian travel experiences is visiting passionate Italian winemakers and tasting their latest vintages. You haven’t experienced Italy until you’ve tasted her wines. There’s nothing like exploring the aromas and flavors and nuances of Italian wines, exactly as the winemaker had intended – and the best place to do that is in the winemaker’s cantina. I meet many Americans traveling in Italy who have fallen in love with a bottle of vino that they experienced with a grand meal at a romantic osteria. They simply must bring some home with them. They don’t always think about exactly how they’ll get it home, hoping that Google will help them figure it out. With a little bit of forethought and effort, you can bring home a few bottles to a few cases of Italian wine, safely and cheaply. All you need to do is 1) pack it safely, 2) decide how you want to ship it, and 3) clear customs on arrival in the States. Follow my recommendations here and you’ll soon be enjoying your prized wines at home while reminiscing about your grand trip to Bella Italia. Whether you’re planning to have your wine shipped to your home, or check your wine with your luggage on the flight home, you’ll need to ensure it’s packed safely. 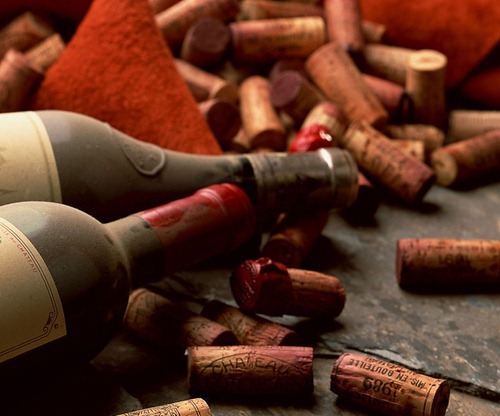 Nothing ruins the end of a vacation quite like discovering broken bottles of your prized vino in your luggage – and only having red wine-stained clothes to show for it. When I bring wine samples home with me from my Italian winery visits, I pick up boxes specifically designed to ship wine, check them with my luggage, and relax in peace knowing my bottles are super safe in the cargo hold. 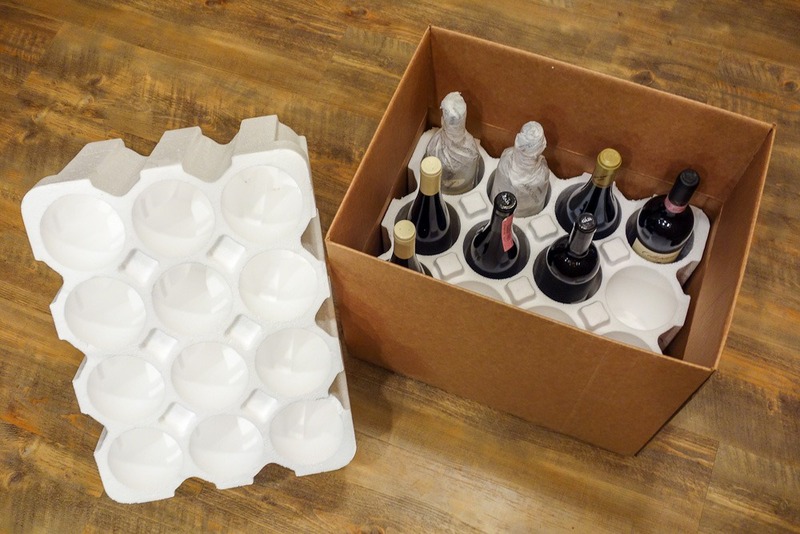 Wine shippers are specially designed, heavy duty cardboard boxes with Styrofoam inserts designed to hold individual bottles of wine (or olive oil, or grappa, or…) safely and separately from each other. The #1 goal is to keep the bottles from hitting each other and breaking in transit. You can buy wine shippers while in Italy, particularly in wine production areas and in most major cities like Milan, Florence, and Rome. Businesses that specialize in shipping are the best places to look, and I often purchase 6-pack and 12-pack shippers at Mail Boxes Etc. (called “MBE” in Italy). Wine shipper boxes with Styrofoam inserts are relatively cheap – about €8 to €15 per box, depending upon the size. Don’t cheap-out on your wine shipper box or the tape you use to seal it, it’s an inexpensive insurance policy for your prized bottles of wine. NOTE: Some travelers have reported buying all-cardboard wine shippers from MBE and being rejected by the airline at check-in. 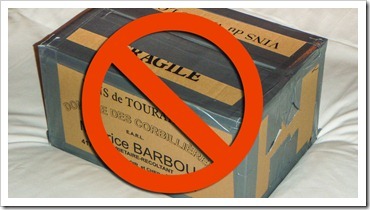 Be sure to buy and use only boxes with Styrofoam inserts (see above picture). Here are some MBE offices in winemaking areas and near Milano and Roma airports. Click on the address for information on hours of operation and maps. You can find MBE office locations on the mbe.it website. Use the mbe.it site and not the American MBE website, which is worthless for finding MBE offices in Italy. When using their mbe.it site, just type in the name of the city where you want to pick up a wine shipper in the form, then click the “Find” button. Be sure to check the hours of operations, as many of the MBE offices are not open on Saturdays, and none are open on Sundays. You should pick up your wine shippers before you buy your wine. Most MBE offices speak at least some English. Important! Businesses come and go, so make sure the MBE office you plan to visit is still in business and you know their hours of operation before you go. When in doubt, call or email them (in English). Only have a bottle or two and want to slip them into your suitcase? You can do it for checked luggage, but you’re rolling the dice with your clothes – and something I generally avoid. Most airlines frown upon (or outright ban) checking bottles of wine in your suitcase. If it breaks in transit, it may stain other travelers’ suitcases and create liability problems for them – and you. 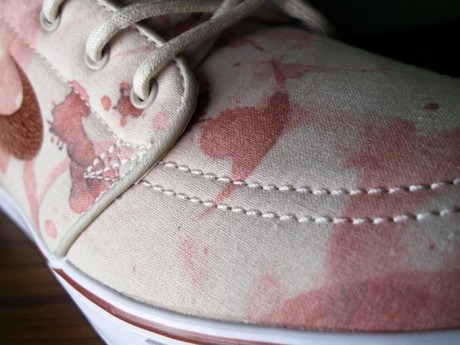 If you still want to go through with it, there is a pretty nifty product on the market that pads your bottle and will (allegedly) absorb any spilled wine if the bottle breaks – thereby saving your clothing from a red bath. Hopefully. These specially designed wine sleeves have many names, but the most reputable is called the Wine Diaper (I know, I know – it’s a ridiculous name). They’re about $4 each in packs of 3 and are reusable, re-sealable and biodegradable. Just drop your bottle in the “diaper,” seal the top and slip it someplace safe in the middle of your suitcase – then pray to Bacchus that it makes it home safely. 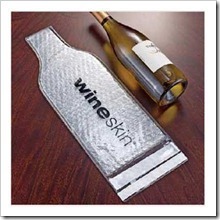 There are other similar products out there, including Jet Bag and Wine Skin – but Wine Diaper seems to have the best reputation. If you go this route, be sure to place the bottle away from the edges of the suitcase, ideally wrapped in sweaters or jeans, and away from other hard objects. 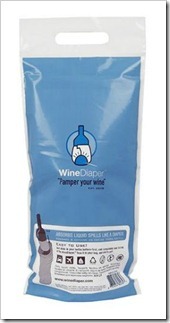 You should buy Wine Diapers on Amazon.com or other online sources before you head to Italy, as it’s tough to find them there. Okay, you’ve properly packed your wine and now it’s time to send it on its way home. To me, the choice of how best to ship your wine is a simple matter. Unless you like paying lots of money for dubious shipping methods with common carriers, just check your wine as luggage at the airport when you check in for your flight home. When I have just a few cases of wine with me from tasting visits, I box them up in a wine shipper and check them with my luggage at the departure airport. Most major carriers will allow you to check wine if it’s packed safely in a wine shipper. 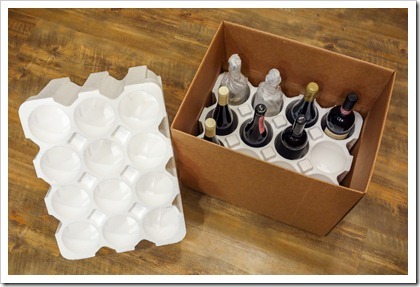 You must use shipping boxes with Styrofoam inserts made specifically for shipping wine – see my recommendations above. NOTE: A few low-cost airlines in Europe (EasyJet, Ryanair, Vueling, Iberia Express, etc) have been known to reject wine and olive oil for checked luggage, so stick with the major airlines like United, American, Delta, KLM, Lufthansa, British, etc. Pack your wine in advance. If you show up at the airline check-in counter with wine bottles in their original boxes, you will have 3 choices: 1) go find a wine shipper and box it up properly (and likely miss your flight), 2) abandon your wine at the airport (very sad), or 3) start drinking. Check in early, at least 2 hours prior to your flight. Give yourself extra time to deal with long lines, security checks, etc. Many airports will want to x-ray your wine shipper while you wait. Don’t push your luck with check-in times. Note: The security procedures at Rome’s Fiumicino (FCO) airport can be long and laborious – give yourself extra time. 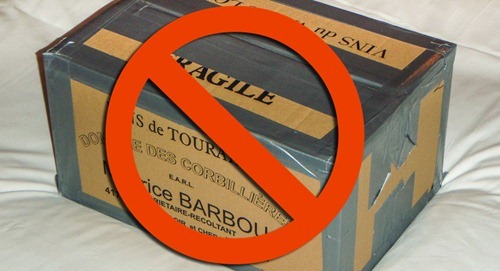 Some airlines charge an excess baggage fee – anywhere from $50-100 per wine shipper. United lets me check 3 “bags” for free – my suitcase and 2 cases of wine. Perfect. If you have more than 6 bottles of wine, use 12-bottle shippers instead of multiple 6-bottle shippers – it’s cheaper. Once you’ve checked-in your wine shipper boxes with your luggage, you can relax knowing that your vino is safe and sound and on its way home. Some shipping companies in Italy, including most Mail Boxes Etc offices, will offer to ship your wine home for you, saving you all the trouble of boxing up your wine, checking it with the airline, paying any excess baggage fees, and dealing with US Customs on arrival. Don’t believe them. If you are not a properly licensed wine importer (like me), you simply cannot ship wine home from Italy yourself. Most carriers, like UPS, DHL, and FedEx, strictly forbid it, and in most cases it’s illegal and a felony in a few states. So how do they do it? Well, they take possession of your wine, box it up, and declare it as something other than wine. 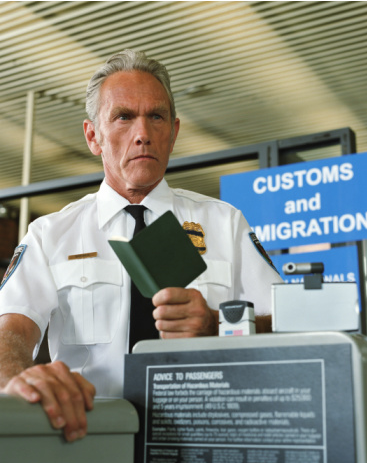 For example, the typical ruse is to declare your bottles of wine as “olive oil” – thereby flying under the radar of the common carrier and US Customs. Yep, that’s illegal alright, but it does happen all the time. If you go this route (which you can, but I don’t recommend it), expect to pay $125-300 per 12-bottle case to ship to your home. Just drop the wine off at the shipper, pay them their fat fee, and then hope that your wine makes it safely to your home. It probably will arrive just fine (be sure to get a tracking number). If it doesn’t, you will have no recourse and you’ll lose your wine, the shipping fee, and you may have a nice US Customs fine to pay as well if the ruse is discovered. New Trend: Some Italian wineries are offering a legitimate & reasonably priced service of shipping your purchased wine home for you. It runs about $100 per 12-bottle case. They do this by working with their US-based importer (or other licensed importers) to make the shipping magic happen. However, they usually ship only wine that you buy directly from them at their cantina. It’s considered a brutta figura (meaning, it’s rude) to ask them to ship bottles from other wineries with your purchase unless you buy a lot of their wine. Note that if the winery quotes you a price that is much over $100, then they’re probably using MBE to do the same shipping shenanigans as mentioned above (which is risky business). If you only have a case or two of wine with you, I recommend that you go the checked-luggage route described above. It’s cheaper, safer, and keeps you within the law. One legal option for having wine shipped to your US address is through a licensed importer – though how doable this is will depend on which US state you live in. If you have a decent number of bottles, say 2+ cases from a favorite winery, it may be worthwhile to explore using the winery’s US importer to bring it over for you. They may even have your favorite wine in-stock in the States and can direct you to where you can buy it back home. 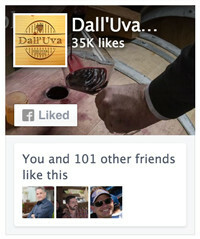 Just ask the winery, but don’t be surprised if they can’t help you – it’s a pretty big hassle for them. I get occasional requests to help wine lovers fly a limited number of cases of special wines back to the states. If this is of interest to you, let’s talk. Post your request in the Forum and let’s see what can be done. So you’ve checked your wine with your luggage and you’re on your way home. 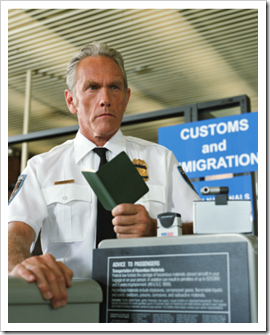 When you arrive at the first US port of entry, you have to go through Immigration and clear your wine with US Customs. Lots of people worry about this step, but it’s very easy and ridiculously cheap to clear your wine. Simply check the “Yes” box on your US Customs Form where it asks if you are “bringing food,” and tell the Customs officer that you have wine. They’re going to ask anyway, so tell them exactly how many bottles you have. Don’t try to be sneaky about it, or they may seize your wine and have a party with it in the back room. (Ok, just kidding about the party, but not about them seizing your wine). When talking to the Customs officer, keep your story simple: If you’re asked about your wine, simply say “I’m bringing wine home for my own personal consumption.” Don’t say something foolish like “I’m going to sell some to my buddies.” Remember, as an individual, you can bring wine into the US only for your own personal consumption – you can’t sell it. That’s my job. Generally, the less you say, the better – keep it simple. NOTE: If you are under the age of 21 and show up at the border with wine, beer, grappa, whatever, and if they find it, they will confiscate your booze. You might also get nailed for minor in possession. It’s just a bad idea, so don’t do it. 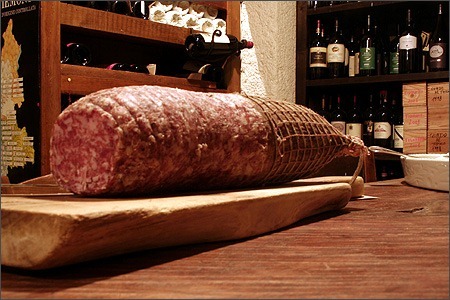 This probably goes without saying, but be wary about trying to bring home illegal meats like prosciutto, wild boar sausage or other forbidden imports with your legitimate wine purchase – You may lose everything if they think you’re trying to be sneaky, and you run the risk of being tagged in the system as a known trafficker in contraband. What about paying the duty and taxes? Technically, you should pay an alcohol duty and excise tax on wine you bring into the US, but don’t fret – it’s about 21 cents/bottle for most wine (sparkling wines are about 67 cents/bottle). If you’re bringing in hard liquor like grappa or amaro, the duty is higher – about $2 per bottle for 80 proof alcohol. For all alcohol, your first 1 liter is free of duty and tax. On top of the above tax, US Customs also charges a 3% duty on the value of all of your foreign purchases when it exceeds $800 (which is your duty-free exemption), but is less than $1800. If the value of your purchases is over $1800, then the rates are higher, but usually less than 10% and depends on what your various purchases are. Total tax on your 24 bottles of wine worth $1000: $10.83 — or about 45 cents per bottle. In all of the times I’ve brought cases of wine back with me from Italy, I have been asked to pay the duty exactly once, and that was only for some Quintarelli Amarone wine worth several thousand dollars. Usually, they just wave me through, and odds are they’ll do the same with you. Your prized Italian wine is a wonderful memory-in-a-bottle, a snapshot of your time in Italy that you can pour into a glass and share with loved ones. Reminisce about exploring the narrow streets of a quaint Tuscan hill town, a quiet meal of wine and antipasti in a tiny osteria filled only with locals. Toast to the future and your next trip to Bella Italia. If you find this useful, join my mailing list and I’ll send you occasional posts and special updates on Italian wines, food, and travel. No spam, ever. Great info. Another possibile shipping container is the “postal mailer”. In Germany and Austria these are made of nearly bulletproof cardboard (no nasty styrofoam) and hold either 6 or 12 bottles. (If you can only find the 6-pack size, tape two of them securely together to create a 12-pack). These “Postkarton” are generously sized which can be a particular concern with the tall bottles of some premium white wines. 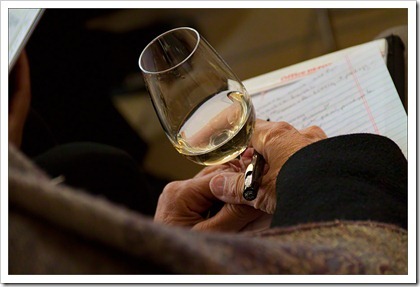 I would certainly second your recommendation to find a friendly importer to bring your wines back for you. Even if the importer charges a modest per bottle fee, this is probably the easiest and least expensive way to bring back anything more than a case of wine. So plan ahead, as you are almost certain to find wines that cannot be found in the U.S., and at exceptional prices! Hi Michael — I have another solution your readers might like. 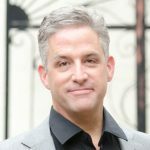 I run ShipItHomeUSA out of San Francisco and we work with wineries throughout Europe to help Americans get their prized wines home for 50 euros/case. Today we work with Azienda Agricola Montechiaro in Siena and plan to add more Italian producers. We have the wine packed in the same sytrofoam containers you mention above. We take care of getting the wine home for the traveling wine lover, and can ship to 38 states today. Hi Barry — sounds like a great service, and folks should be aware of it. 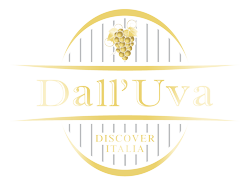 As you add more Italian producers to your list, it would be great if you could post them here or send us an update here or in the Dall’Uva Forums. I see that you’re in the SF area — let’s get together over coffee some time, would be good to learn more about your operation. Arrived home last night from Florence WITHOUT my 3 cases of wine. I had taken 3 wine shipper boxes with me as luggage when I went over and never expected problems at the airport. Al Italia will not accept wine boxes as luggage, so now I am left with the problem of obtaining a shipper to pick up the wine at our last hotel and ship it to me. I am in South Dakota (bad shipping state), however, have a son in Minnesota that can take delivery. Do you have any ideas for me? Okay, that said, why don’t you send me a message (just use our contact form here: https://www.dalluva.com/contact-us/ with the details of where it’s located and I can see if there are some shipping options for you. Great and very informative article. I have been bringing wine home from Italy for years, but this added some extra ideas for me to keep in mind. Thank you! Glad that you liked the recommendations. I think the pricing of shipping from Italy is dropping a bit, I am starting to see some options to ship cases of wine for about 90-110 euros. Still spendy, but if someone is trying to bring some more expensive wines home, or wines that are tough to get in the States, then it’s not that bad of an incremental cost. Another option is Lazenne at http://www.lazenne.com, who distributes the Wine Check in Europe, and carries a line of bottle protectors, aka wine shippers. They ship to Italy. Ciao Paul — thanks for the pointer, and yes, there are some great travel cases for wine out there. The fact that they’re reusable makes them a good long-term value for travelers who like to bring wine home on a regular basis. My daughter is currently studying abroad in Italy. She is 20 years old. Can she bring wine home???? Ciao Barbara — great question! In Italy the legal age for buying, possessing and drinking alcohol is 18, so your daughter can enjoy vino while she is there. However, as you probably know, the state laws vary on whether someone under the age of 21 is able to possess alcoholic beverages, let alone consume them. Generally speaking, it’s safe to assume than your 20 year old daughter would not be able to enter the US with alcohol as checked baggage if she were in possession of it and traveling alone. ** She can ship wine, using a wine shipping service as I mentioned in the blog post, to someone over 21 years of age at a US address, so long as someone over the age of 21 is there to sign for it. ** Someone over 21 can travel back with her to the US, and vouch as the owner of the wine upon arrival at customs. I hope that helps, and best of luck to your daughter in Italy. I am grateful to have found your informative site. My husband and I are traveling to Italy, and I’m hoping to bring back my favorite Italian wine (and not have it confiscated at customs). When you stay ‘wine shipping boxes’, will the heavy cardboard case boxes with styrofoam insert work? I have empty cases from CA wine makers, and was hoping that would work; check as luggage, take empty and bring home full. Ciao Frankie — That’s exactly what I mean by “wine shipping boxes”, and Yes you can reuse one of those great shipper boxes that American wineries (and my company, Dall’Uva) use to ship wine. They’re UPS/FedEx certified, and will work just fine. I used to do exactly what you have planned; I’d check a couple of empty wine boxes as luggage on the way over, fill them up, and recheck them on the way home. These days I have a stash of specialized shipping boxes in Cortona for Brunello and Chianti winery visits, otherwise I just go to the nearest MBE (mailboxes etc.) and buy a new box with styrofoam insert. Which Airline are you planning to fly on? I find that a couple of Airlines, specifically Alitalia, can give people a hard time when they check wine. American carriers seem to be the most friendly + Lufthansa + BA. I usually fly United. Best of luck on your trip, and have a great time. Thanks for the tips – great site. I'd add that the MBE in Rome is closed Saturday and Sunday! Thanks! Ciao Liane — that's right, most MBEs are closed on Saturdays and all of them are closed on Sundays based on my experience. For those open on Saturdays, it's usually just in the morning (closing by 1PM). 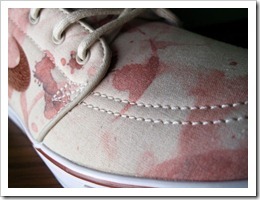 Great catch, and definitely worth noting when looking for wine boxes. 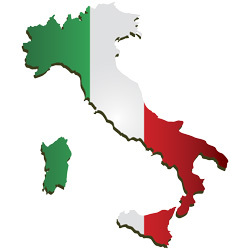 We will be traveling to Tuscany over Christmas holiday from Germany (we are military stationed overseas). Do you have any suggestions for shipping wine/ getting wine back to Germany? We are flying Lufthansa. If you are simply moving wine into Germany from Italy, I believe that there is no additional tax due. Lufthansa is wine-friendly, and they should be happy to check your wine for your flight back to Germany. I recommend that you simply pick up some 12-pack wine shippers at an MBE (use the links above to find one near where you’re staying) for about €8-10 each, fill them and tape them well, and then check them when you check-in for your flight at the airport. Depending on which airfare you have, there may be a charge per box, with possibly the first checked box being free. If you’re flying out of Milano Malpensa, you should check out my recent Forum post on how to check-in wine. As an alternative, many wineries can ship direct to your Germany address from their cantina, so long as you buy in 6-bottle increments. Just check with them when you ask to buy wine. If you’re simply collecting a few bottles of wine from many places, then just use the MBE wine shipper to consolidate them, and check them in when you fly out. We live in Sicily and are flying back to the US on Lufthansa, we plan on taking 12 bottles back in a wine shipper box (2×6). The box fits in our suitcase. Should we notify the airline that the box is in the bag? Hi Stacy — Lufthansa should be fine, they have never been a problem for me when I fly them. I have been able to check up to four 12-bottle boxes on my Lufthansa flights, though they do charge after the first 2. So long as your wine is packed in a wine shipper box (typically styrofoam inside a double-wall cardboard box), they should be happy to check it either by itself, or if it is inside a suitcase for added padding. I’ve never tried that with something as big as a 12-bottle wine shipper, but I don’t see any reason why it would be a problem. As far as telling them, you can tell them if you feel you want or need to, but so long as the wine is in the wine shipper boxes, I don’t think you need to worry about it unless they ask. If you want to play it safe, just tell them. They may ask you to open it up and show them it’s a wine shipper box, but that should not be a problem. Just reseal it with their tape at the check-in desk (or bring your own), zip up the suitcase and away you go. In May 2015 we flew out of Malpensa (MXP) with 12 bottles of wine checked in a wine shipper from MBE. We flew with Emirates to NYC, arrived at checkin extremely early (per the advice here), and were given a very hard time about whether or not we were allowed to check the wine. The woman at the desk gave in after I asserted that the website said that I could bring liquor (at the time I found a page giving a limit of alcohol per person). She did require us to have the box wrapped in plastic at one of those stands and to sign a waiver stating that we were responsible if it broke and ruined anybody else's luggage. Just putting this here in case it's useful for anybody else. We'll be trying our luck with Emirates again in October, unless we find a way to economically ship the wine back. Ciao Katie, and good to know about Emirates. I'm going to contact Emirates directly to get better clarity on their rules, however with a little research on their site I see that they allow alcoholic beverages between 24% and 70% alcohol (like grappa), with a limit of up to 5 liters (about six 750ml bottles). It even says that "approval is not required" to check these kind of alcholic beverages. However, wine is nearly always less than 24%, and typically less than 16%, so they don't view wine as "dangerous goods." Here's the link on their website to their rules on alcoholic beverages over 24%. I will re-post here when I have more info on how they treat wine as checked luggage. It's possible that the Emirates agents you dealt with simply did not understand their corporate policy. 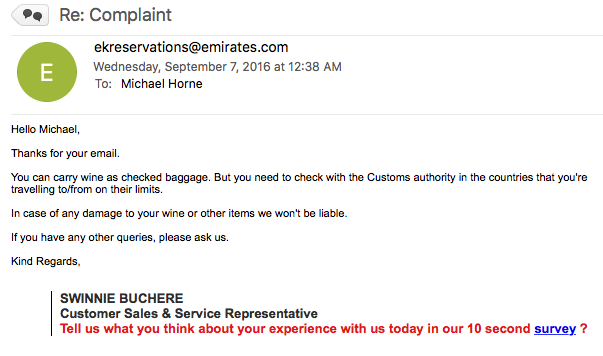 Ciao Katie — I just heard back from Emirates, and they confirmed that you can check wine as luggage. 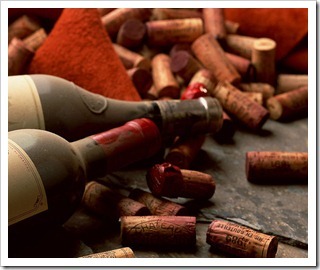 You still need to ensure that Customs limitations have been met (no surprise), and if there's any damage done to the wine or other items, they are not responsible. Great, informative post. It does make me feel like I’ve been lucky packing my wine only wrapped and rolled in my clothing (laundry). I’ve always be *very* careful wrapping each bottle in a couple inches of clothing then binding together and ensuring they’re as far from the edges as possible. I think folks with hardside luggage are pretty safe that way. Ciao Tom — you’ve done well if you’ve had no bottles broken, though usually it’s possible to wrap a few bottles well with clothes (jeans, heavy clothing) that keeps them insulated well enough from each other and the sides of the suitcase. My apologies, but I’ve checked and unfortunately that’s a wine we can’t seem to get in directly. That can happen with some producers, usually because of low inventory or they have an exclusive importer in the US. I’ll keep checking to see if there’s another way to get it in, and if so I’ll follow-up with you. Thank you very much for even looking into. I really appreciate it! I’m traveling to Rome in November. Is there any way to locate a an importer that could get wine shipped to Louisiana, Alabama, Mississippi, or Georgia? Or will it be ok to fly back w/ a few in luggage? Hi there — if you are bringing home just a few bottles, I suggest you get a 6-bottle wine shipper while there and check it. If just a couple of bottles and you’re willing to risk it, you can try wrapping them in your clothes and putting them in your suitcase. Make sure they can’t bang into each other or the top/bottom of your suitcase. It’s not worth working with an importer unless you have a significant number of bottles (36 or more). Wanted to share our experience at Linate this morning for the benefit of other travelers. I’d highly recommend that travelers confirm with their airline (perhaps even in writing brought to the airport!) before bringing a wine shipper box to check on their flight. We weren’t allowed to on our BA flight this morning. Based on research, including this site, we bought a 12-bottle wine shipper box at the MBE in Canelli (which was all cardboard separators, no styrofoam) and when we brought it to check in for British Airways, were told we could not check it because each individual bottle was not wrapped in its own plastic bag. We were asked to repack the bottles wrapped in clothes in our individual suitcases. We are still enroute now, so no idea if they will survive the trip! That said, I think the biggest issue appears to be the need for Styrofoam shippers. While styrofoam is environmentally not a great option, for checking with luggage I think it is a requirement for many (if not all) airlines because it is the most rugged option. The problem with all-cardboard wine boxes is that if a bottle happens to break in transit (say, the box gets punctured) and wine soaks the cardboard, the rest of the box could break apart and have a real mess on the hands of the airline. With styrofoam, not only is the bottle less likely to break, it will keep its structure when wet. It’s interesting that MBE sold you a cardboard insert for your wine, which would normally only be used for shipments in Italy. I’ve only seen styrofoam shippers at the MBEs I have visited. I am really surprised that BA actually encouraged you to pack the bottles in your luggage. Usually, they freak out when told there are unprotected bottles in a suitcase. 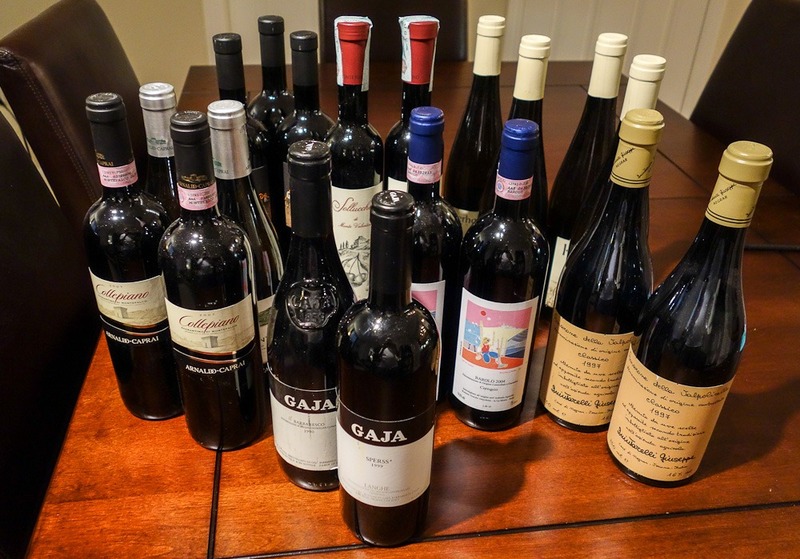 I brought home wine from Italy this October, emboldened by your suggestions! But we had earlier booked on Norwegian, a low-cost carrier, and I was worried about what would happen once at the airport (Roma). So I checked with Norwegian beforehand, and got a transcript of my chat – lucky thing! We got to the airport early, as prescribed. But the air staff said ‘no go’ and seemed determined to make a fight of it. (I was considering the 12-bottle airport party.) I pulled out my transcript – and they elevated the issue – elevated once more – got someone on the phone – and finally agreed. Whew. I did have to sign a waiver, and did have to take the bottles over to the scanner. But at that point it was all jolly, no hard feelings. But a couple more issues. I checked into MBE, close to Florence, they would only sell me a (‘UPS-approved’) wine shipper that did not have styrofoam inserts. With more time I would have checked other MBE stores, but I doubt that would have made a difference. Norwegian ‘explained’ that they didn’t care what I might have concealed in any old ‘hard case’ luggage, but they objected to the cardboard box. I explained that the box was double sided in all directions (I was sincere about this – the shipper seemed despite the absence of styrofoam, very solid) but they were unimpressed. The wine arrived in LA, pristine, customs waived duty, and I’ll be bringing a choice bottle to share with other friends who took Italian vacations this very weekend. Some low cost carriers are particularly fussy about checking wine in, and that’s why I encourage folks to use the big names like Lufthansa, United, American, Delta, BA, etc. I have yet to have any problems with the major carriers, though recently I was asked by Lufthansa to use the plastic wrap service on a wine box before checking it in. It cost 8 euro and only took a few minutes, so no harm. On the MBE boxes, occasionally I’ve seen them offer fiberboard inserts, but I always ask for “styro” when buying. Usually they have both. Thanks for sharing your story, and cheers to you and your friends this weekend!